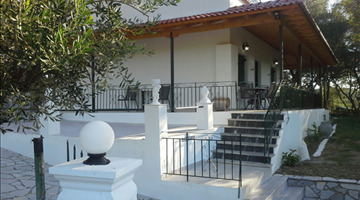 Property for sale in Corfu. 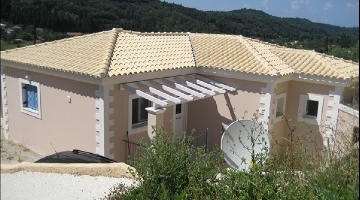 Properties in Corfu, Greece. 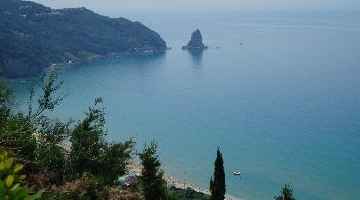 Corfu (Kerkyras) is the second largest of the Ionian islands at 647 square metres. It has a particular English association as it was a British protectorate for 50 years from 1814. Before that it was French and for 300 years before that, Venetian. The population of the island is around 112,000, but this usually quadruples over the summer holiday season. There are an estimated 11,000 foreign residents from Europe, the majority of them being from the UK and Germany. Being one of the most Northern parts of Greece, Corfu enjoys a slightly cooler average temperature, and greener scenery.